The University of Illinois at Chicago's Department of Public Administration hosts one of the nation's most academically productive public affairs faculties (#5 by Academic Analytics). Its 15 faculty members include field-leading experts in the disciplines of urban governance, public management, nonprofit management, public finance, survey research, and network studies. 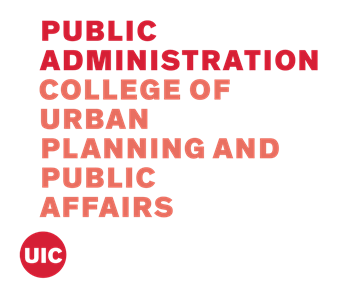 As a component of the UIC College of Urban Planning and Public Affairs (CUPPA), it joins the Department of Urban Planning and Policy and nine research centers, including the Great Cities Institute, the Urban Transportation Center, and the Center for Urban Economic Development. Collectively, the college annually generates over $5 million in externally funded research. The department offers masters (MPA) and doctoral (PhD) degrees in public administration, an undergraduate degree in public policy (BA), and a survey research methods certificate.